Copyright (c) 2009 by Rae Kaiser, Outside the Line. All rights reserved. 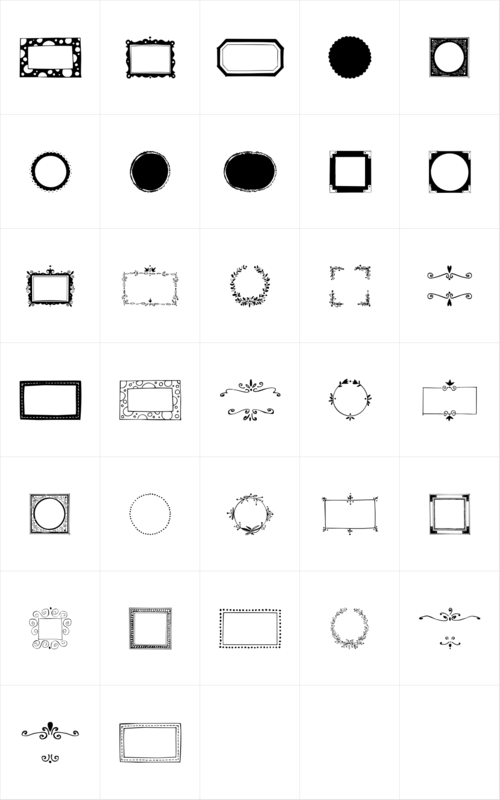 32 borders and frames, round ones, square ones, rectangles and an oval. Curly qs, vines, flowers, dots and swirls in outline and reverse. Please note that this is not a dingbat font and needs to be used in large sizes of 72 point or more.